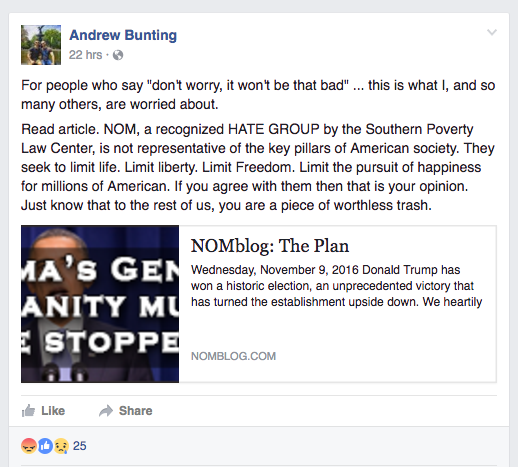 On his public Facebook page, GMU's Senior Assistant Director of Admissions Andrew Bunting claimed he is fearful of Donald Trump’s presidency because the National Organization for Marriage (NOM), a group that believes in traditional marriage, said it is hopeful for Trump’s presidency. 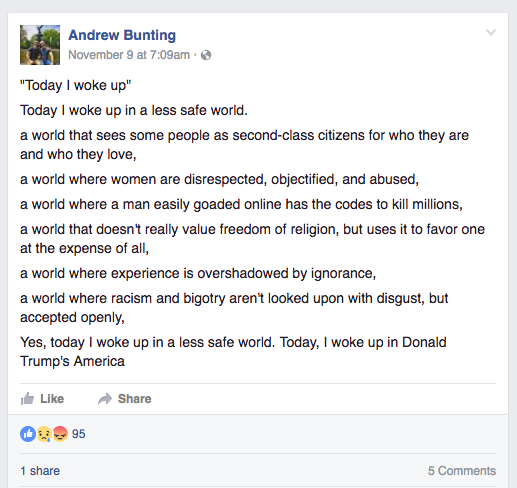 As an admissions counselor at GMU, Bunting claims he is in charge of making admissions decisions. 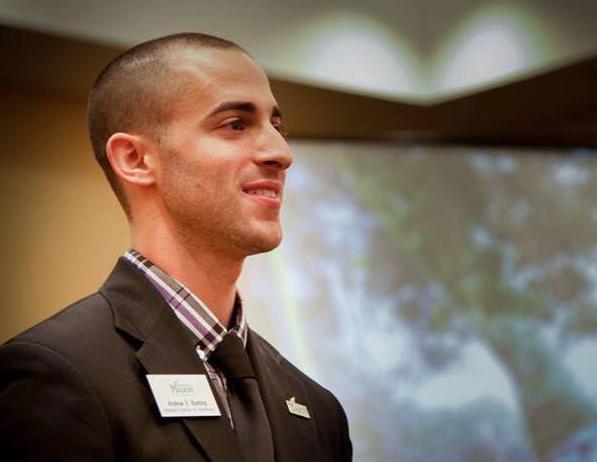 He also publicly represents the university to prospective students, their families, and high school counselors. Bunting has also called for collecting data on sexuality for admissions.